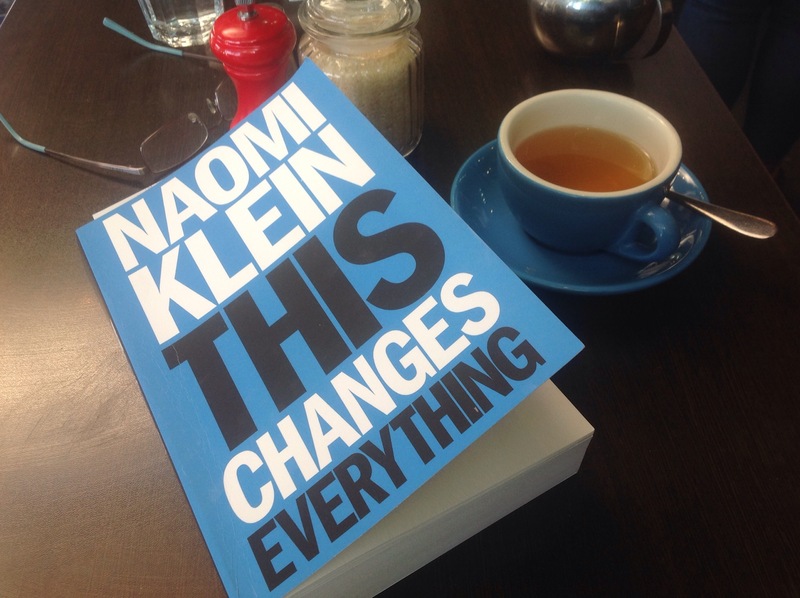 “If opposition movements are to do more than burn bright and then burn out, they will need a comprehensive vision for what should emerge in the place of our failing system, as well as serious political strategies for how to achieve those goals.” Naomi Klein, This Changes Everything, page 10. Read this book. Read it now. Our economic system requires constant growth for its survival and its stability. And just like cancer, capitalism if left untreated, will end up killing its host. In this case it is the thin atmospheric layer that separates us from the vacuum of space. The time for surgical intervention is now. The beautiful thing about This Changes Everything is that it not only honestly confronts the truth we all feel yet suppress but it goes further. It provides a glimpse of the civilisation that can emerge from our failing system, and the strategies that can get us there. No longer is climate change the ugly truth we are too fearful to confront. It is the challenger which poses a question to us all, a question that can no longer be postponed, do we stay on this road to barbarism or do we make the leap to deep democracy? History has come to knock on our generation’s door. Will we answer? Like many younger siblings, I never really had a choice about which footy club to support. My older brother told me that we were the Bombers and from the age of three that’s what I was; a Bomber. 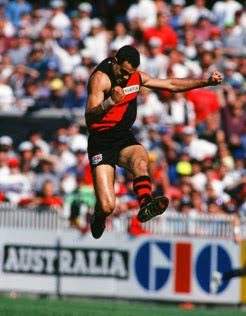 Choice and footy clubs aren’t concepts that usually meet – you have a tribe, you are told you are part of the tribe and it remains that way until you die through career changes and relationship break-ups. My tribe is Essendon FC. I’ve never been one to hate. I don’t hate other clubs or tribes. For me hatred is a foreign country I’ve never felt comfortable in – whenever I’ve accidentially wandered there I’ve always wanted to get out quickly. When I encounter the emotion in others, pending their relationship to me and what their hate is directed towards, it’s either likely to make me feel confused and hurt, diminish my respect for someone or sense a weakness in an opponent. Where does hope spring from? A progressive form of hope comes from a belief that things can be different, in contrast to the conservative form of hope, which is a vague trust that the existing institutions of our society will fix our problems. As I wrote in my last post – Australia is experiencing the death of this conservative hope but we are still awaiting the birth of a new hope. What I would like to put forward after a few weeks of discussion with many people is a proposal to nurture the growth of a belief in change in the Australian people. Hope is dead. Long live Hope. This week the National Union of Workers (disclaimer: where I work) launched a new form of Union membership – a community membership. From a personal perspective, in this post I would like to outline what I think this means for the union movement in Australia and the prospect of building for progressive change.